After several years in residence on the top floor of the Soda Plant on Pine Street, Laboratory B has officially left the building as of 1/1/2019. Many thanks to the members who put in lots of hours, leg, and back-work over the past month to prep to space for our move, and also great appreciation to the friends of the Lab who showed up on the 30th to help with the big move day! 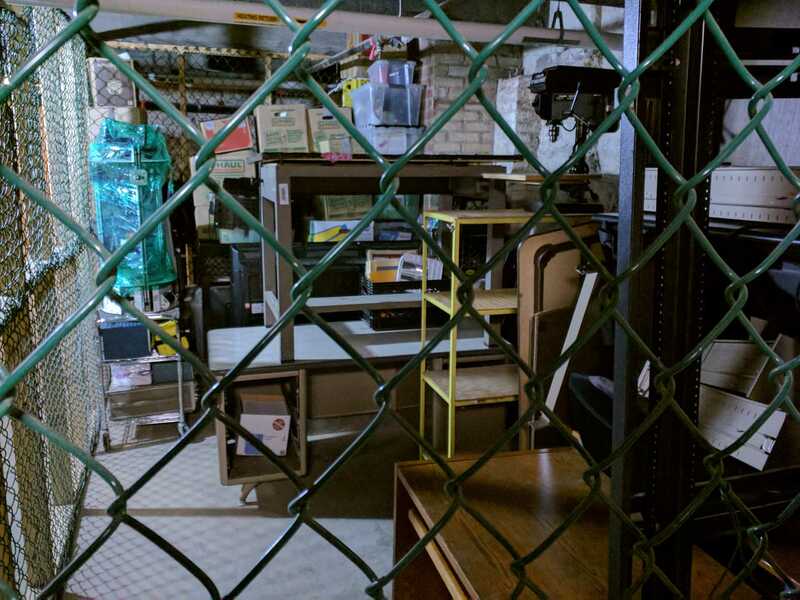 The move has been a great opportunity to assess and discard a good deal of superfluous stuff, while our core materials are safely ensconced in a Champlain Housing Trust storage locker, ready to be deployed at our next space…. We’re already in talks with a few possible new sites for the Lab, but are being deliberate about the process so we can land on the best spot for our community’s needs. 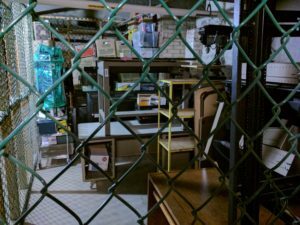 We’re in search of a space with a maximum all-inclusive cost of $700/month; it can have shared spaces, be a sublet arrangement, etc., but needs at least one room that Lab members will have exclusive access to. So, if you have a lead for the next venue for Burlington’s member-run and -governed hackerspace, please get in touch by shooting an email to [email protected]! In the meantime, Lab-sponsored events will be popping up in various locations around town, and we’ll be using the spare capacity derived from not having weekly public hours to do some internal work to position us for success in our 5th (!) location since the Lab was founded in 2009. If you want to keep in the loop, follow our shared calendar and Facebook page, where events and announcements will be posted, and we’ll post to this blog when your new space is finalized. Happy New Year, and we look forward to sharing the next iteration of Laboratory B with the Burlington community in the coming months! Previous Previous post: 9/27, 7pm – FOIA Party at the Lab! Next Next post: Lab B Moves into New Digs at 12-22 North Street!